Kaufman's inventive and intricately crafted stop-motion drama is undermined by the emptiness of its miserablist existentialism. Charlie Kaufman’s inventive, solipsistic narratives have consistently left cinephiles spellbound since he collaborated with Spike Jonze to reify Being John Malkovich in 1999. Through his screenplays for both Jonze and French filmmaker Michel Gondry, Kaufman earned a reputation few screenwriters attain. His distinct voice leapt off the page and manifested itself as a palpable entity onscreen. It has been seven years since Kaufman tried his hand at directing with Synecdoche, New York, and now he has discovered yet another fresh method through which to present his meditations on the intricacies and significance of human interaction. Anomalisa is a claustrophobic stop-motion adventure that echoes much of the text present in Synecdoche, but funnels it through a decidedly less convoluted portal of expression. The great majority of the film takes place in a hotel, cleverly and relevantly titled “The Fregoli,” in which businessman Michael Stone (exceptionally voiced by David Thewlis) spends the night before giving a speech about the customer service industry. Like all of Kaufman’s protagonists, he is insatiably dissatisfied with his life, which he feels is despairingly mundane. The city of Cincinnati, in which the imaginary hotel is located, reverberates with blandness. Everyone Michael encounters seems to be repeating the same tired taglines. They insist he try the famous chili and proclaim he absolutely must see the zoo. Unsurprisingly, Michael has zero interest in either suggestion. In terms of design, Kaufman, in collaboration with Duke Johnson, has cultivated an ability to frame his material so it’s both creative and digestible. 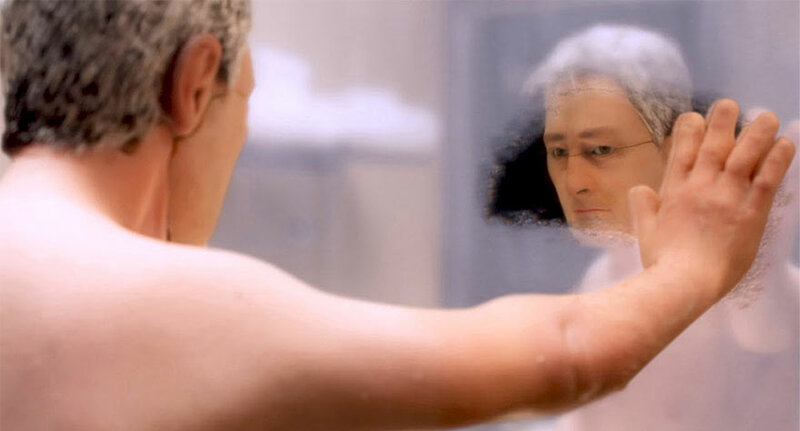 With Anomalisa, Kaufman finds inspiration on a smaller scale, but manages to maintain an active imagination within the boundaries of his aesthetic. He and Johnson meticulously craft the architecture of The Fregoli to sculpt the oppressive impression of isolation in the mind of their audience. One paranoid dream sequence in the film’s second half is particularly impressive. Like past projects, his recent venture into animation once again ruminates on how banal and unfulfilling our lives are. Anomalisa, perhaps even more so than Synecdoche, is obsessed with the idea that nothing in life is truly concrete outside of one’s intrinsic awareness of the self. Nothing occurring within our lives is obtainable outside of the fact that we are able to think and perceive. Labeling Kaufman as a nihilist would be inaccurate. He affirms that life can be meaningful, but only in fleeting moments. If anything, he’s a miserablist, creatively trapped in his bleak interpretation of human existence. Many viewers will relate to his desolate conclusion and find solace in his art, but the thesis that long-term happiness is essentially unachievable registers as unforgiving as opposed to illuminating. The brief moment of joy shared between Michael and a woman he encounters at the hotel, Lisa (Jennifer Jason Leigh), is undermined by a final lament that deconstructs the daunting image of its true value. These fleeting moments Kaufman illustrates become memories, and they, in navigating a dark and inhospitable world, are what we must cling to. Our survival is ensured not by genuine satisfaction, but by an image of it. After all, isn’t a memory just an image of a prior experience? According to Anomalisa, the experiences that form these memories are few and far between, and the majority of days we walk the earth, we will inevitably fail to encounter such happiness. In a world where aging couples can maintain a romance that began a half-century earlier, and where parents can lovingly watch their children develop into young men and women, the ideas underneath Michael’s existential crisis register as possessing little truth in the grand scheme of things. It’s not times of happiness that are ephemeral, but times of sorrow. Kaufman does sporadically use dry wit to assuage the misery of his conceit, and the intricacies of his aesthetic exhibit remarkable craftsmanship. But anyone with a generally positive disposition toward life will find very little insight in Anomalisa’s pervasive cloud of existential darkness. Originally published on November 17th, 2015 as part of our AFI Festival coverage. 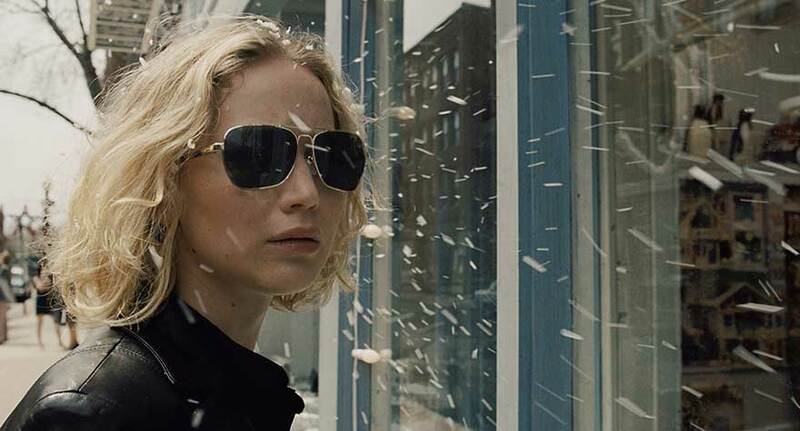 A surprisingly straightforward and entertaining success story, 'Joy' finds David O. Russell sticking to his own successful formula.